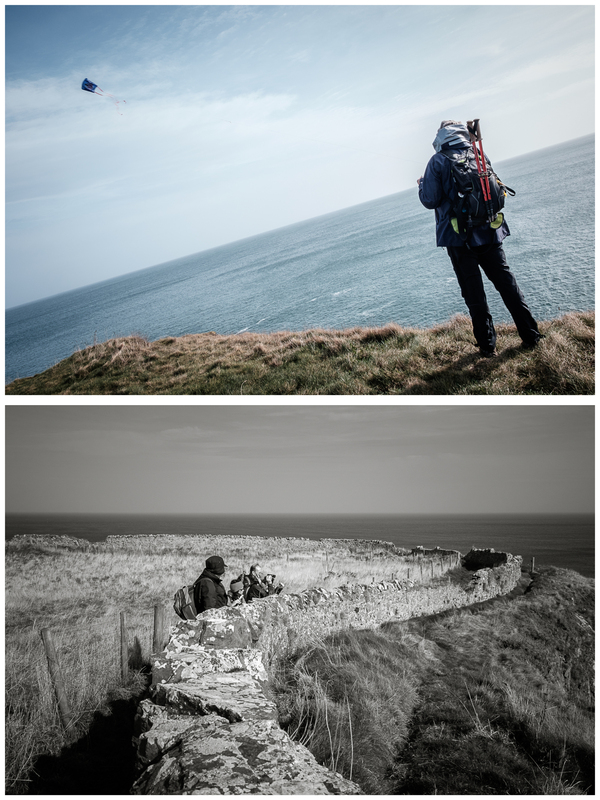 The day after Mike’s birthday, it was time to return home, but first a short (almost) 4-mile walk along the coastline between Eyemouth and Burnmouth. Buoyed as I was following the double-gold medal winning performance in the quiz the previous night (yes, I accept that it’s a team game! ), we set off from the harbour at Eyemouth. The seals were out to give their congratulations. 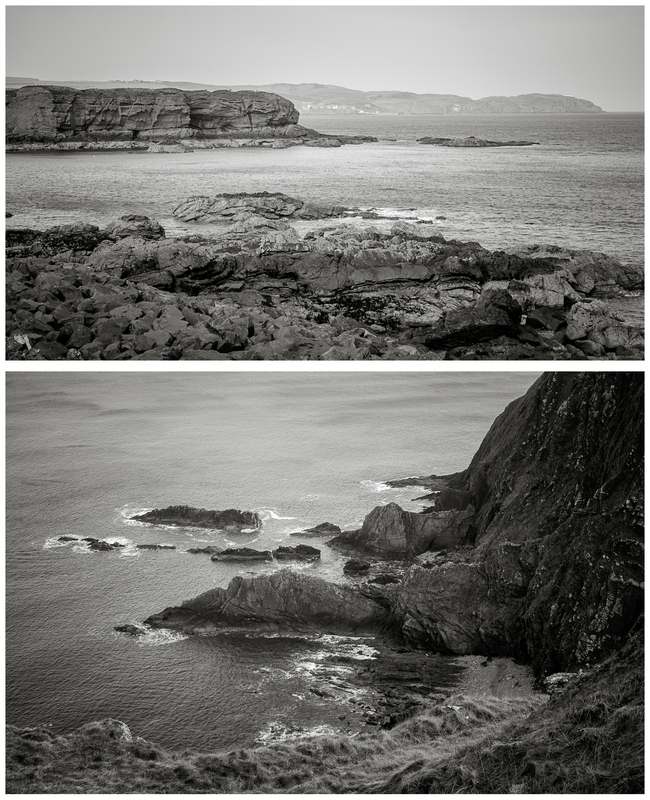 The coastline is rugged in places, and we walked quite close the edge, but it just seems to be beautiful and eye-catching throughout. Karen was multi-tasking – flying a kite and taking a phone call. 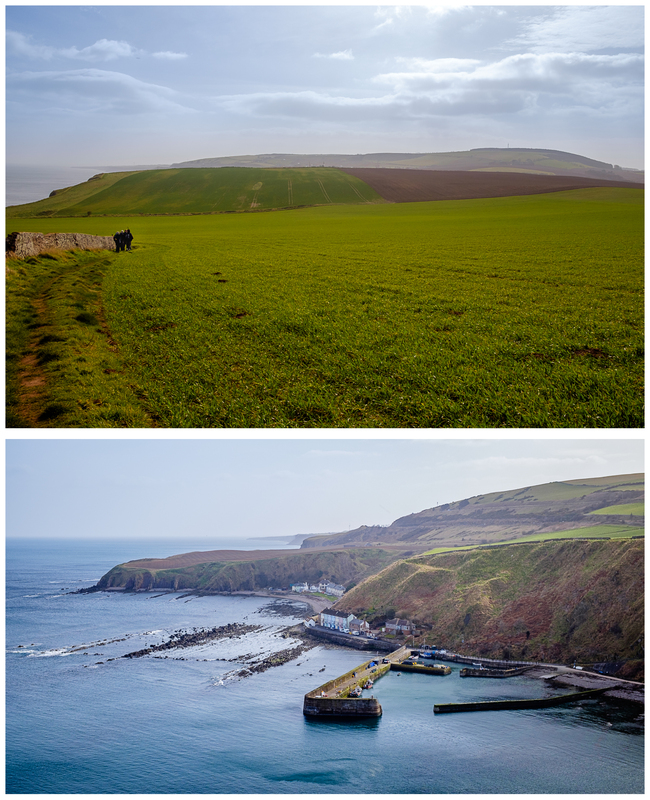 Open fields and a rugged coastline, and then sight of Burnmouth Bay with its village nestled within. 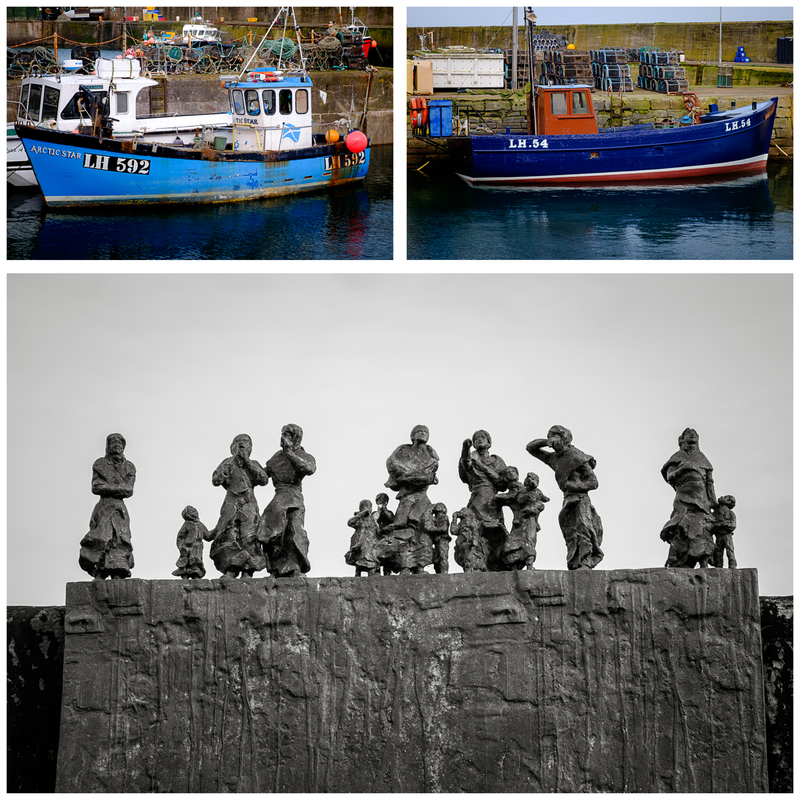 Boats in the harbour, and a sculpture, called Widows and Bairns, commemorating the widows and children who lost husbands and fathers in a fishing disaster, 135 years ago.